If you have browsed the recipe index here at Jam Hands, you may have noticed that I love punch. I have found that most recipes are as follows: 1 soda + 1 pineapple juice + 1 additional juice. Follow that basic recipe and add in whatever flavors you are craving. I went with a white grape peach juice this time around and the results were delicious. Enjoy! 1. 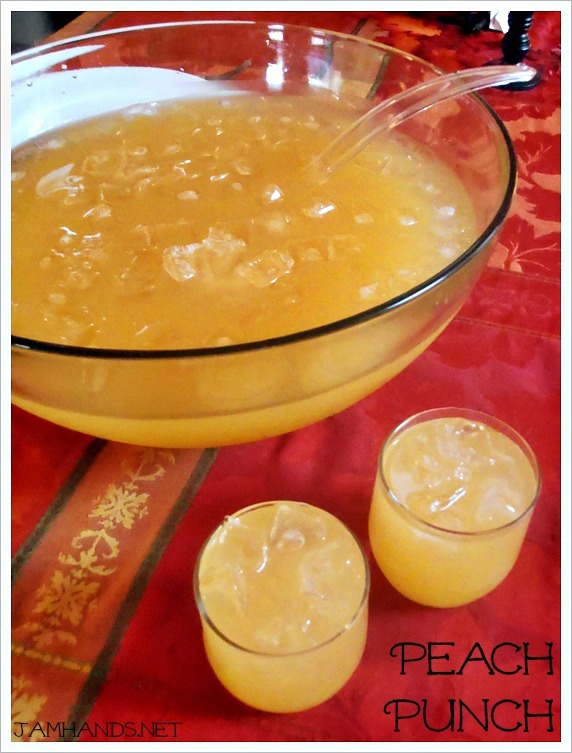 Combine the soda, pineapple juice and peach juice in a large punch bowl and stir gently to combine. If using, add the prepared ice ring or ice cubes. I love punch too and this one looks so fantastic! Pinning!